Fashion #OOTD | Ocean Blue & Sparkling Silver. – Saida Chahid. Fashion, Beauty & Lifestyle Blogger. September 13, 2015 November 21, 2016 by SaidaChahid. Going to a Moroccan wedding is a perfect moment to take the time to dress and make-up. You can take your beautiful dress out of the closet and feel like Cinderella for a night. Everything is possible, except let the pumpkin carriage to the bride and the groom. You don’t want to exaggerate. After all, it is their moment. Like any wedding it is a family and friends gathering. Music plays, people on the dancefloor and food in abundance. If you follow me on Instagram and snapchat (SaidaSnaps) you would catch a glimpse of the wedding day. You’ll love it! As you all know me Loves, blue and silver! The decision was easy to make so I said yes to the dress. 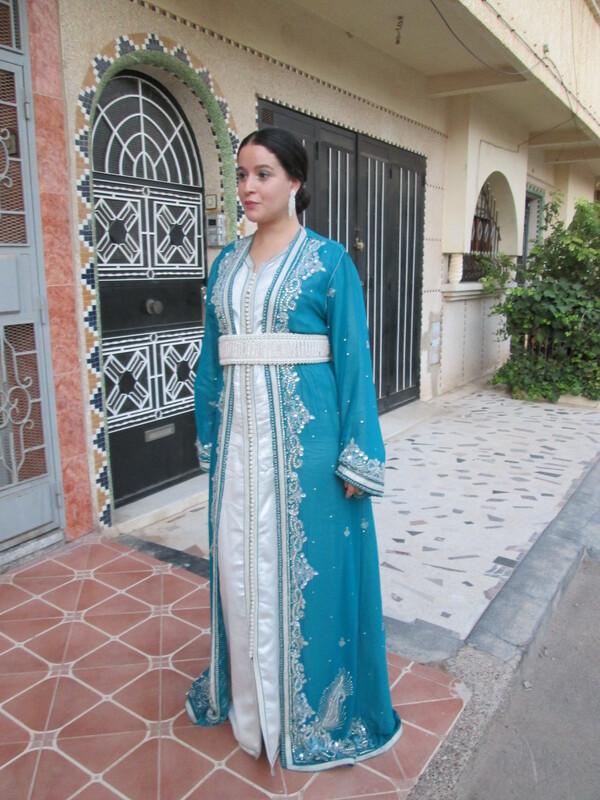 Moroccan dresses are well known for their rich clothing fabrics. 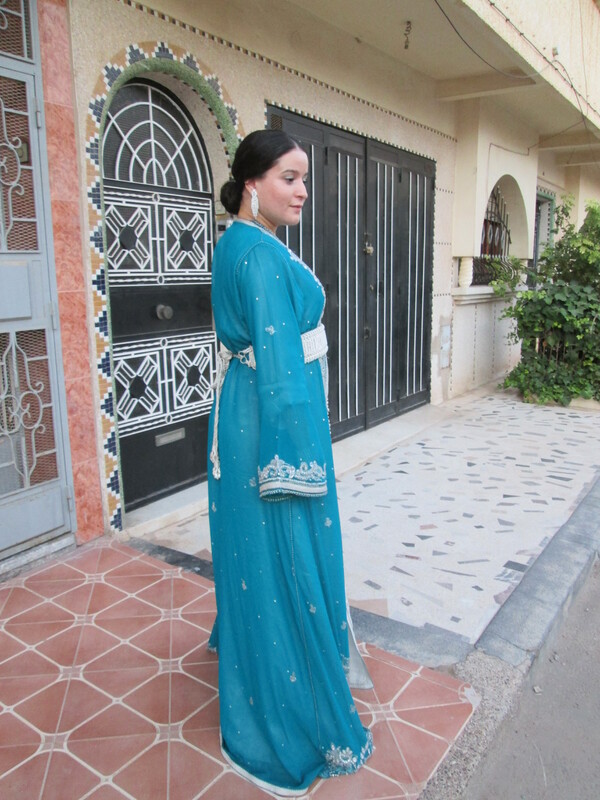 The ocean blue fabric is a sari and has hand-sewn rhinestones on it with sequins. The belt is handwoven. When I’m wearing a Moroccan dress I prefer simple accessories with it. The dress is already an eye catcher so I don’t want to over dress. Same goes for my hair. I did a low bun, to keep it chic. Even though it is simple, it suits perfectly with a Moroccan dress. If you would like to know how I did my make-up that day, let me know and I will redo the make-up look! I had such a great time! I really love to attend one. Imagine when I’m going to get married…. 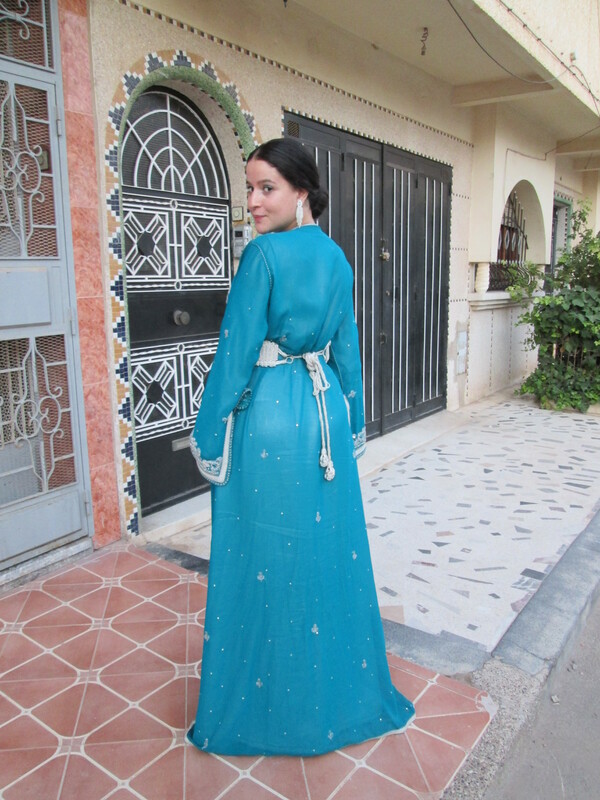 Would you wear a Moroccan dress? You look so beautiful in this dress and I love that shade of blue. 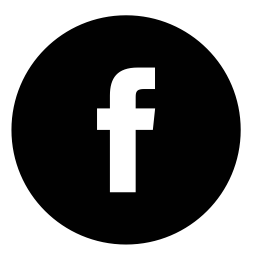 Pingback: Beauty Look | My Daily Look. – SaidaChahid.} Fashion-Beauty & Lifestyle Blogger.